Baffle and delight your family with Maple-Bacon Cupcakes. 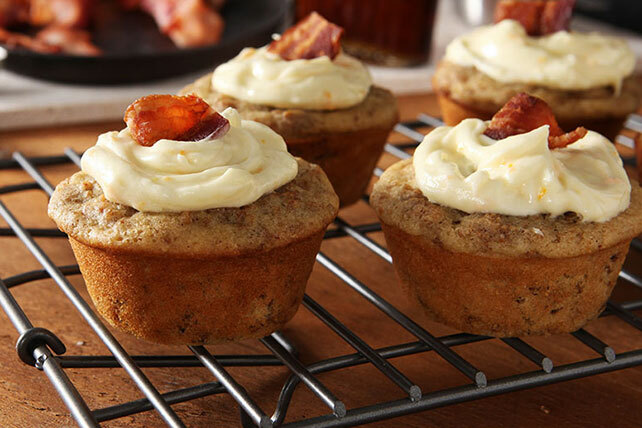 Topped with cream cheese frosting and bits of bacon, our Maple-Bacon Cupcakes defy expectations. Prepare using maple-flavored or pancake syrup. Pure maple syrup varies in strength - the darker the syrup, the more maple flavor it will have. If your syrup is light in color, you can add 1/2 tsp. maple extract to this recipe to increase the maple flavor.